Matilda is a very sweet Connemara x Mare Rising 4. A bay mare lightly backed last year now ready to break. 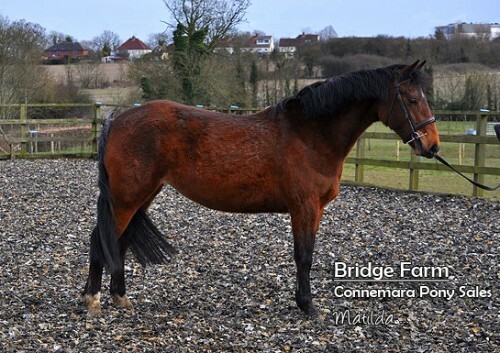 Matilda is a homebred Connemara x mare who we backed very lightly last year. Bridge Farm has owned her Dam (Tilly), for about 5 years and we have lots of fun competing with her. Tilly can be viewed alongside Matilda. When Matilda was born we expected her to make about 15.2 but she hasn’t quite got to that height. 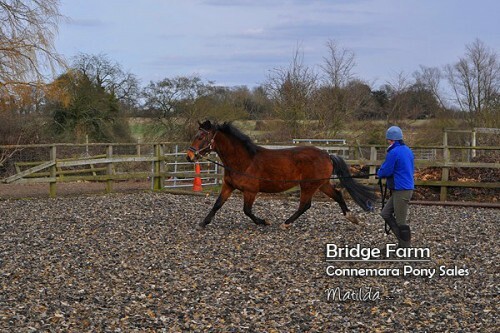 She is a well put together little Connemara x mare , who lunges well and we believe she will go on to jump. Her grand sire is ORLANDO, a very well known Warmblood stallion who’s offspring have performed very well in all equestrian disciplines. 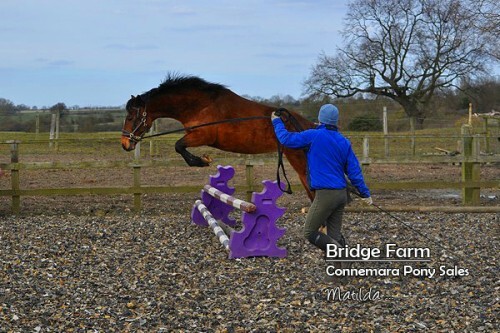 We have excellent trial facilities at Bridge Farm, Essex and an easy going welcoming atmosphere.